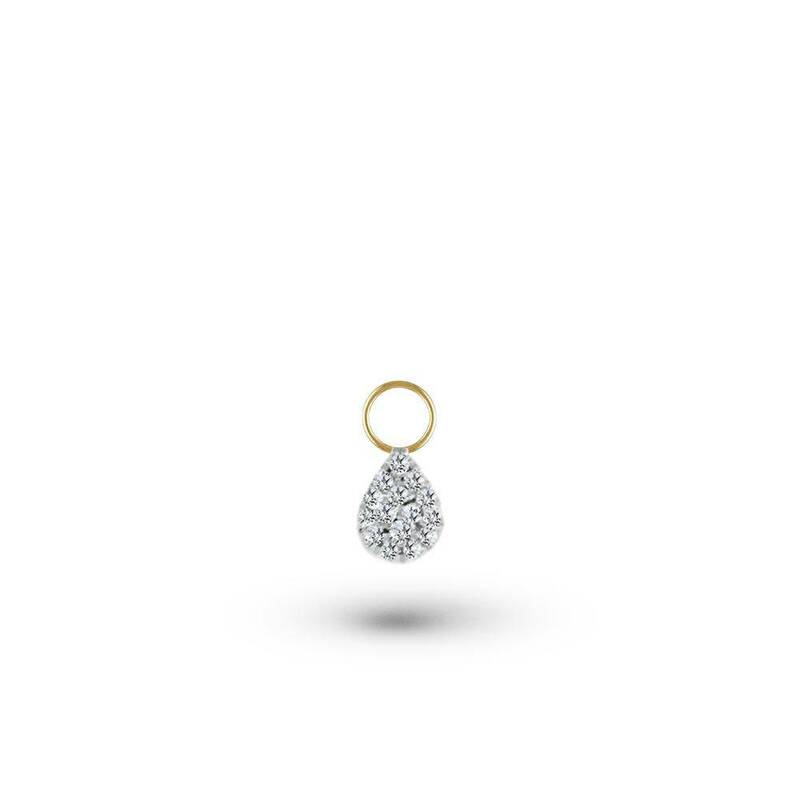 Ladies diamond pear shape cluster hoop charms of contemporary styling. 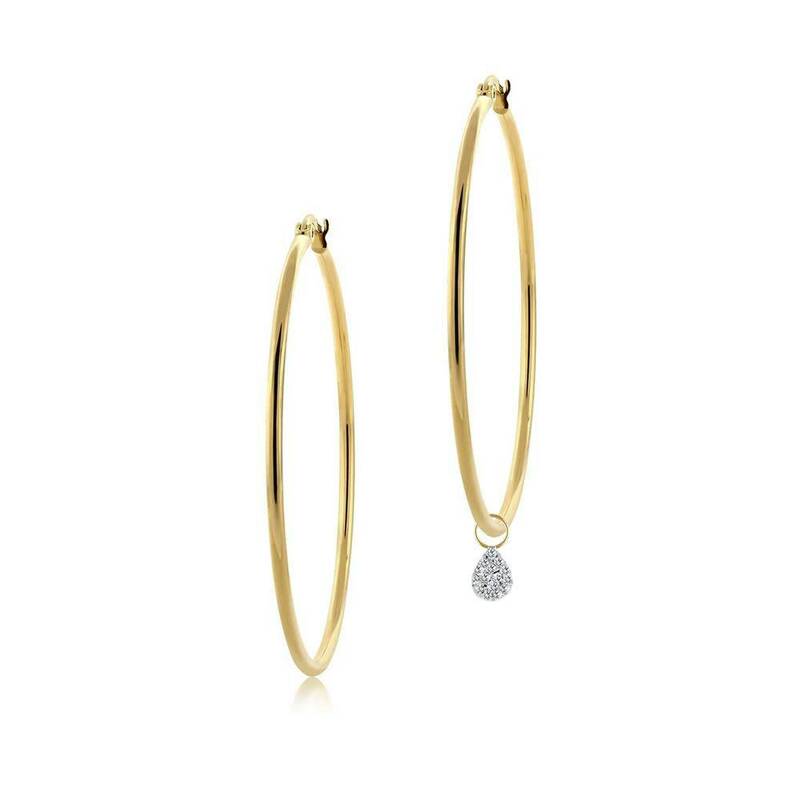 These charms are sold in pairs of 2 and can be worn on our simple hoop earring. They are crafted in 14k yellow and white gold and set with round brilliant cut diamonds. These diamonds have a combined weight of 0.08ct. Hoops sold separately.